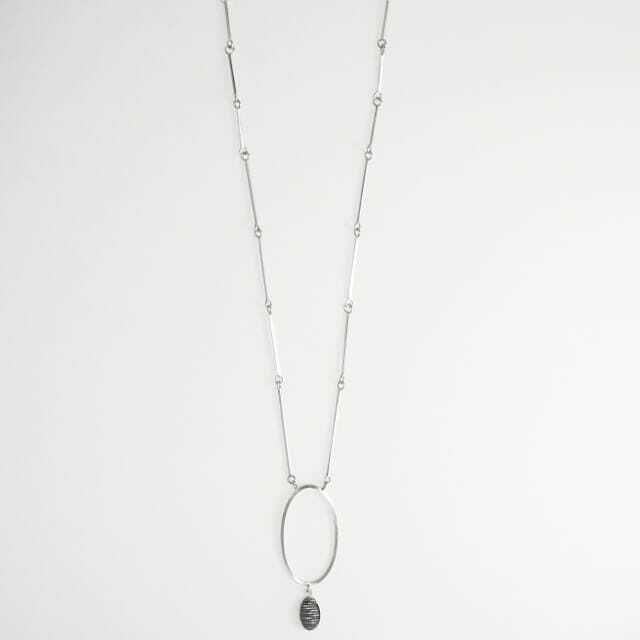 A refined pendant, with oxidised texture set within a subtly polished frame and complete with a fine square link chain. A combination of traditional techniques and new technologies were involved in the making process. 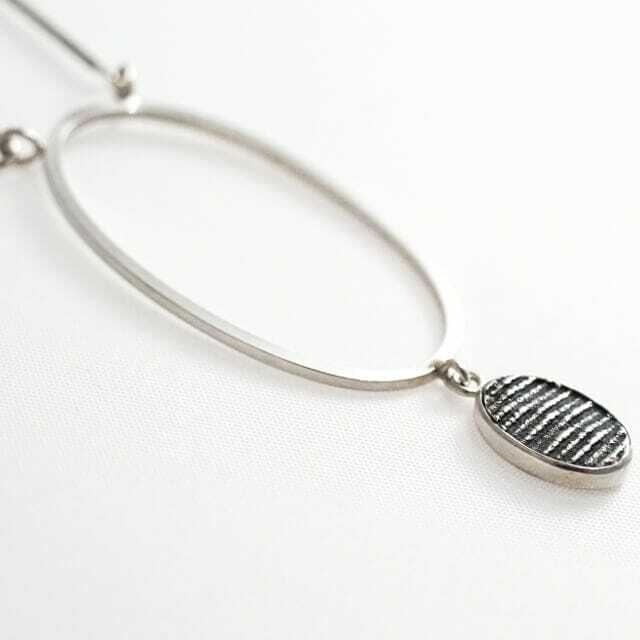 The texture has been 3D printed and cast into silver before being set into the hand-fabricated bezel and links. 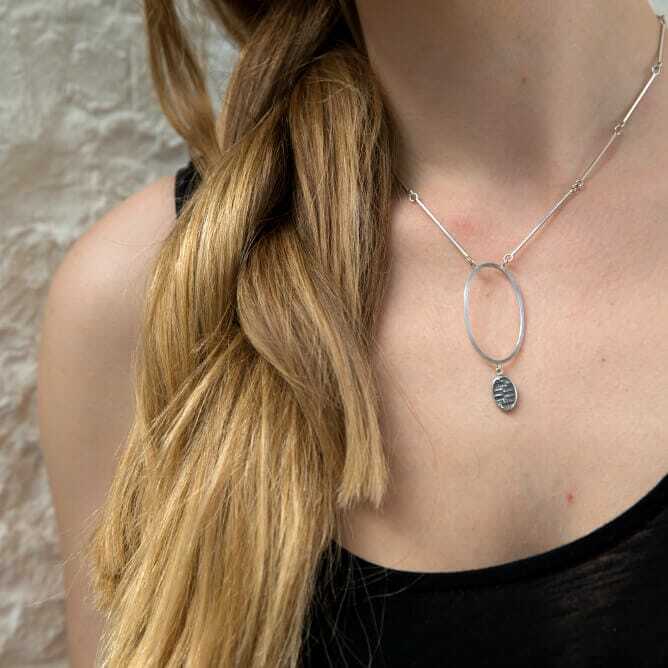 The raised areas of the oxidised texture are brushed over to reveal the silver beneath, highlighting the intricate detail involved in the process. 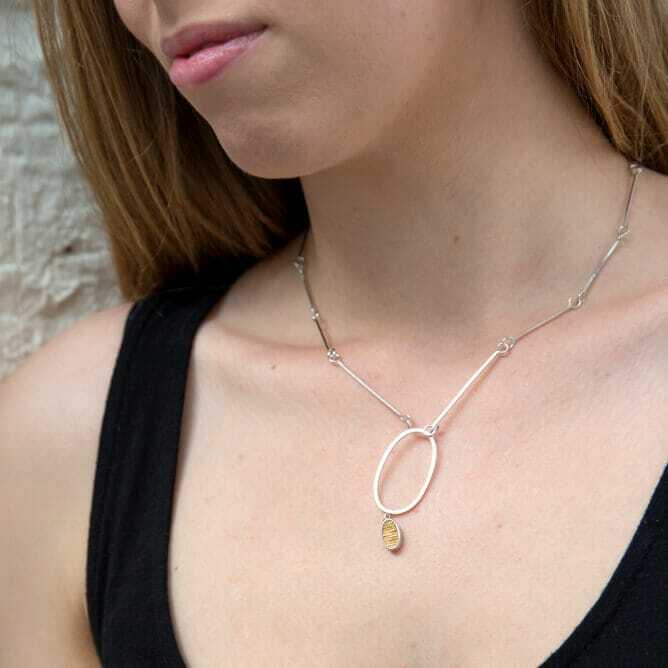 This pendant is responsibly produced from recycled materials and is hallmarked.